10 ones are yet to be implemented. 18 automatically be available for download from our webserver within minutes. 25 everything on your Mac. 46 for this long absence and thank you for your support! 58 Windows users out there for so long! 66 from and to Native Instruments Kontakt .nki instrument articulation files. 68 and editing .nki instrument files. 72 LinuxSampler is featured in the october special issue of the "Computer Music"
81 with our financial situation is now online. Happy new year everybody! 106 these major changes there were countless bugfixes and optimizations. 120 to avoid known problems. Feedback appreciated! 123 Cheers Mac users! LinuxSampler is finally available as AudioUnit plugin! 131 to avoid known problems. Feedback appreciated! 162 at the <link ref="osx.html">OS X HOWTO</link> for an easy start. 173 <link ref="http://bugs.linuxsampler.org">Bug Tracking System</link>. 193 <link ref="windows.html">Windows HOWTO</link> for a smooth start. 194 Beside this first Windows release, this is merely a bugfix release, i.e. 212 again. Sorry for any inconvenience this may have caused! 248 feature as "Instruments Database" in JSampler, it's not yet supported by QSampler). 252 sampler channel at the same time. 257 Please update your links and bookmarks! 261 JSampler 0.6a</link> has been released. 264 available in LinuxSampler. See <link ref="screenshots/fantasia.png">screenshot</link>. 273 released. Almost another year has gone by. 283 completely from scratch. Along comes a new release of libgig (3.1.1). 290 libgig 3.1.0 has been released. 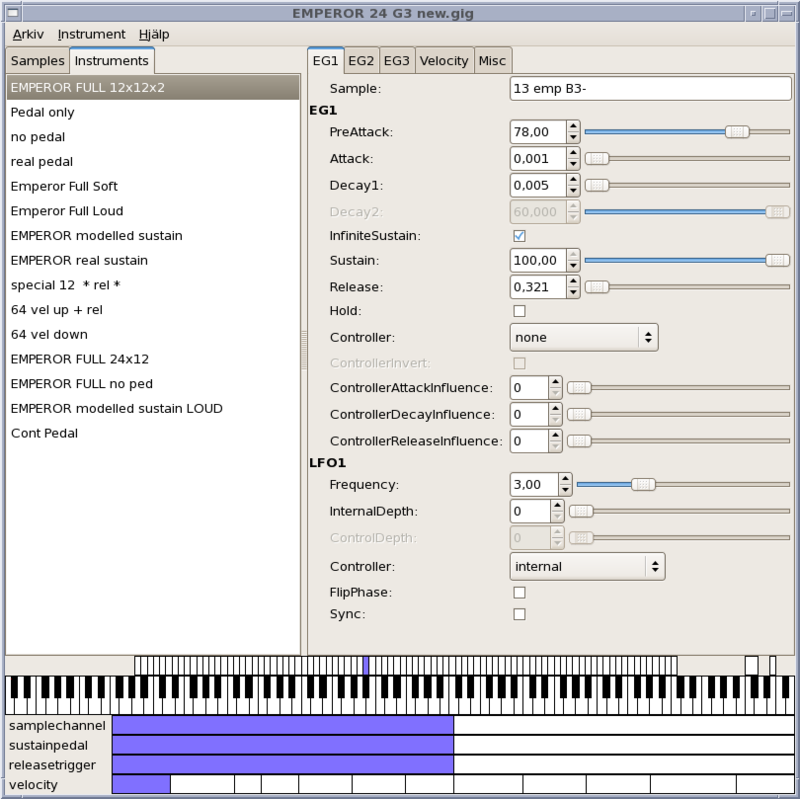 294 JSampler 0.3a</link> has been released. 298 Boyer). Only channel manipulation for now. 304 (Ctrl + F), and more. 310 command in the LS Console. 316 available. It's been a long time isn't it? 319 libgig 3.0.0 has been released. 323 JS Classic 0.2a</link> has been released. 330 happening again. Sorry for any inconvenience! 339 know if you are interested in writing an instrument patch editor. 349 for a while. Please use the tarball release in the meantime. 352 LinuxSampler 0.3.3 has been released. Once again a bug fix release. 357 QSampler</link> 0.1.2 has also been thrown out. 361 released, after a few bugfixes and a new logo icon. 364 LinuxSampler 0.3.1, the first official release is finally out! 381 as predicted by LSCP and wrapped by liblscp. 384 Due to a design change, current LinuxSampler CVS version is quite unstable. 389 was tagged as "v0_2_0". 409 GUI are on the linked qsampler site. 414 until 16:00 UTC due to construction works. 427 same except that you have to add '-r singlechannel'. 437 developments from now on. 456 things and add code. Users should wait for a tarball release.